Later this week is the celebration of Earth Day, and we asked our littles for this month's children's book club selection to pick their favorite earth related story. It's no surprise to us that they chose an ocean story. They love all things sharky these days. Today's pick comes from a great series of colorful nature related books. It must be popular among The Cutes friends too because we have received quite a few copies of this story as gifts. Paired with our fun (and super easy!) 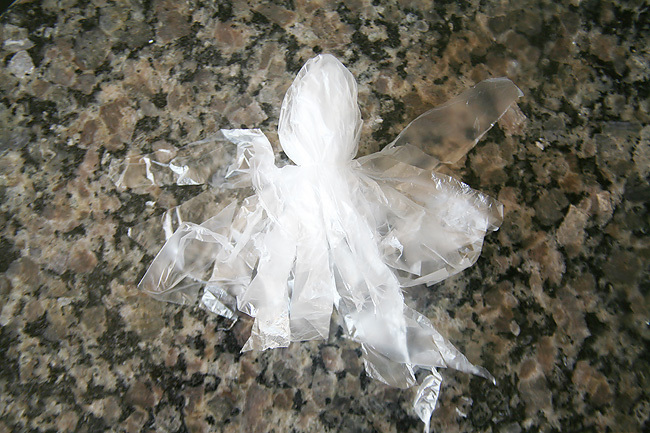 recycled craft you can share in the celebration of our great planet with your kiddos too. "There's a curious commotion, at the bottom of the ocean; I think we ought to go and take a look. 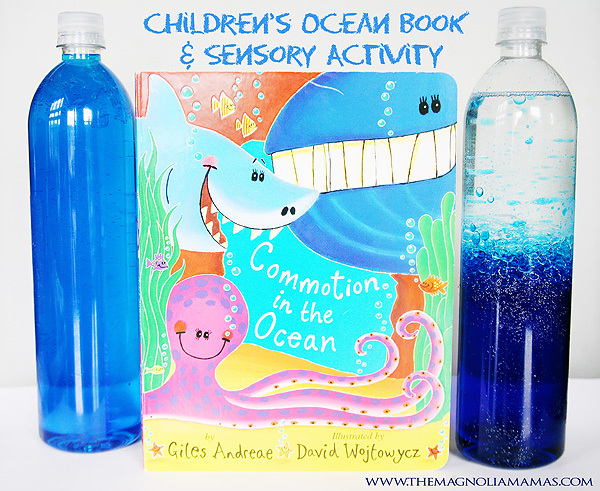 You'll find every sort of creature, that lives beneath the sea; swimming through the pages of this book." 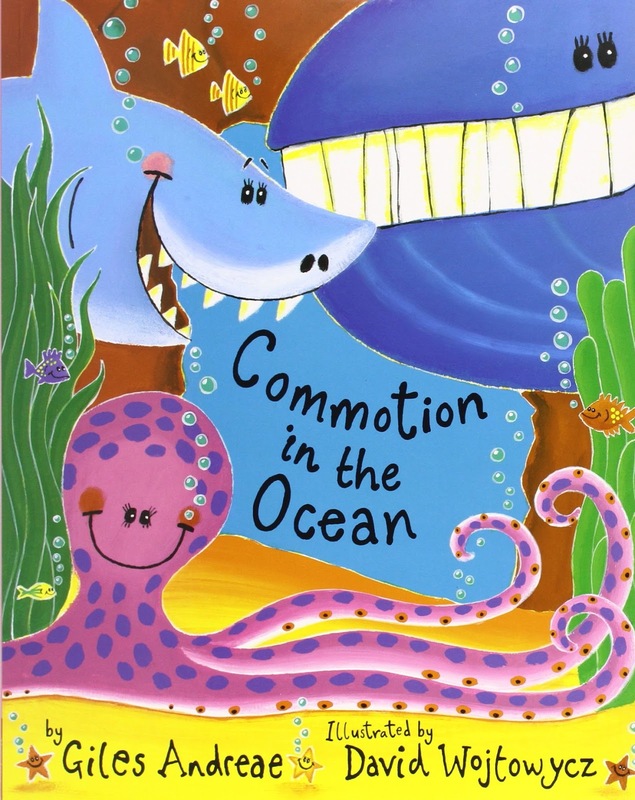 The sequel to the best-selling "Rumble in the Jungle," this delightful new collection of poems includes fun rhymes about the creatures who live in and around the ocean. Children will delight in the snappy poems and colorful illustrations about whales, walruses, penguins, polar bears, stingrays and sharks. 1: Make sure the inside of the bottle is washed and clean. 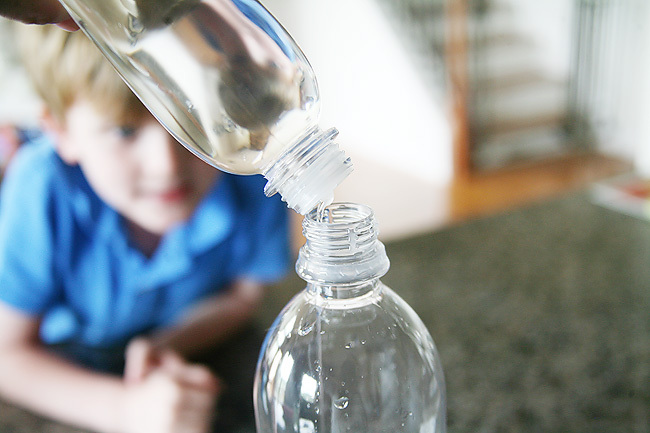 2: Fill the bottle half way with water. 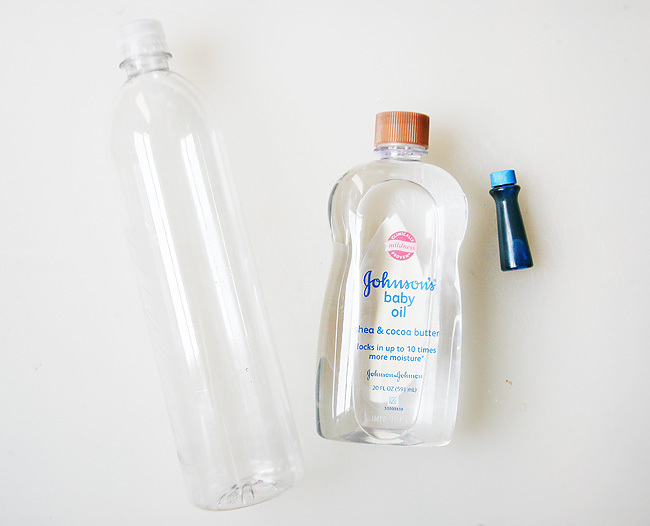 3: Fill the remainder of the bottle with baby oil leaving a little air at the top. 4: Add a few drops of blue food coloring. 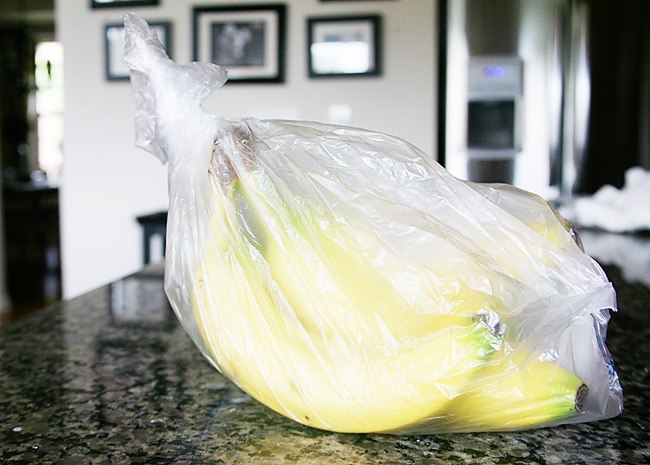 5: Close with top and make sure it is secure to avoid spills. 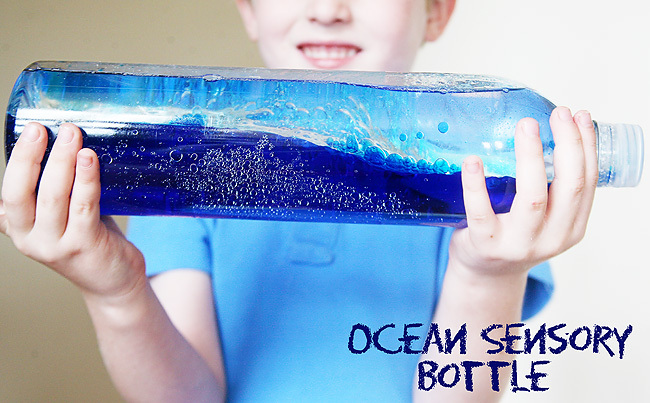 6: Let your little one shake or sway the bottle side to side to create ocean waves. 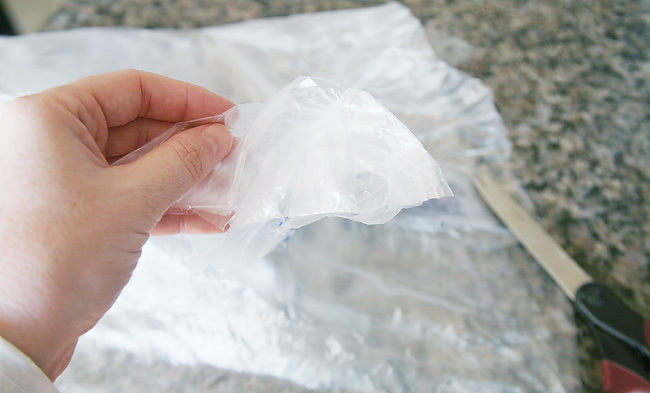 1: Cut the bottom part of your bag off. 2: Fold bag in half and cut out one square section. 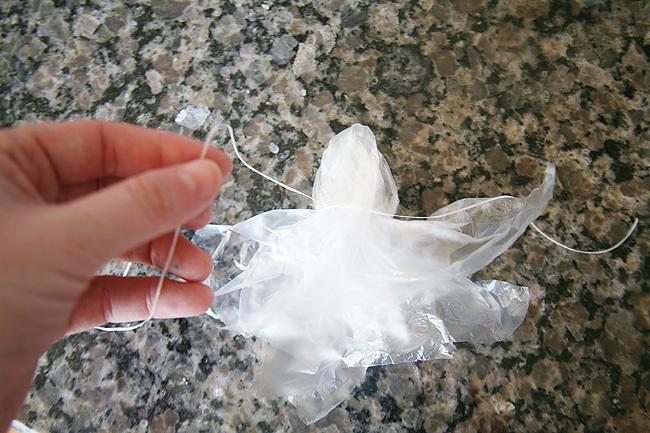 3: Create the jellyfish head by pushing the middle of the square up in a circle and tying off with your thread/floss. Leave the string a little loose so that there is an air pocket available. 4: For the tentacles cut the bottom into strips keeping well below the thread tie off. 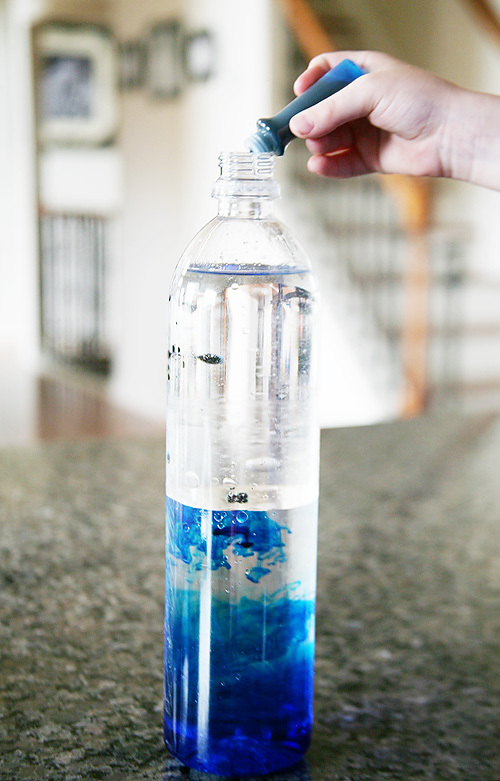 5: Fill the head slightly with water and place in your water bottle (leave an air pocket). 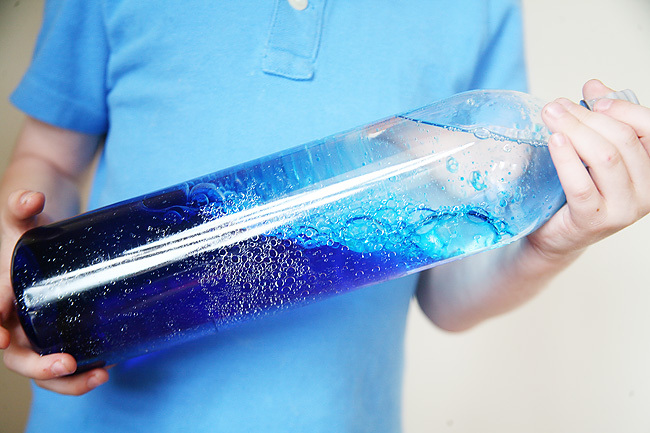 6: Fill the bottle with water and add a few drops of food coloring. 7: Secure tightly with the top. 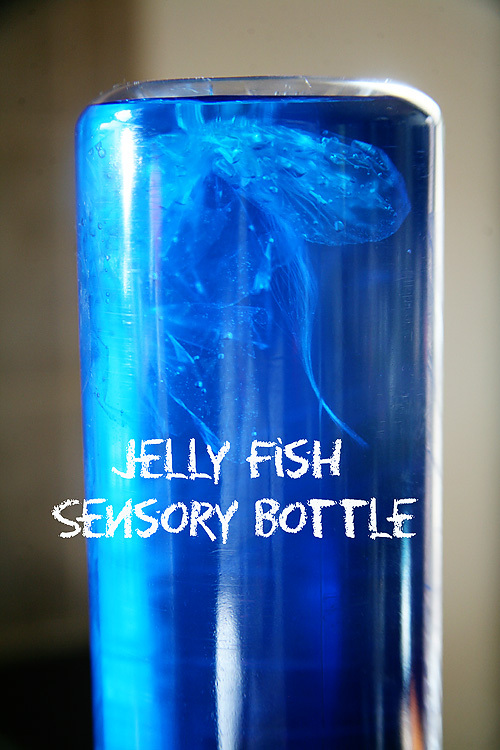 8: Let your child turn the bottle upside down to see the jellyfish float up and down in the water. Such a beautiful jelly fish idea! I was looking for an ocean effect, but the jelly fish looks so realistic and even moves like a real jellyfish. I totally appreciate all the images and detailed directions.